I have been fascinated by these Moroccan fish scale tiles for the longest time. But since I have nothing that needs tiling, I haven’t been able to find a use for this design. 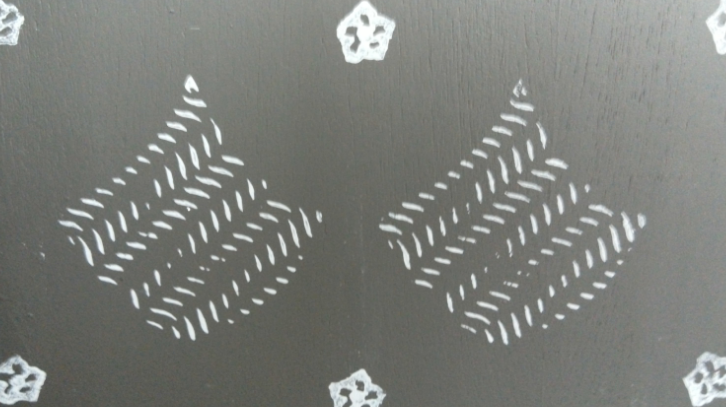 Finally I had a lightbulb moment – I’d create my own stencil and use it as a design element in my DIY projects. 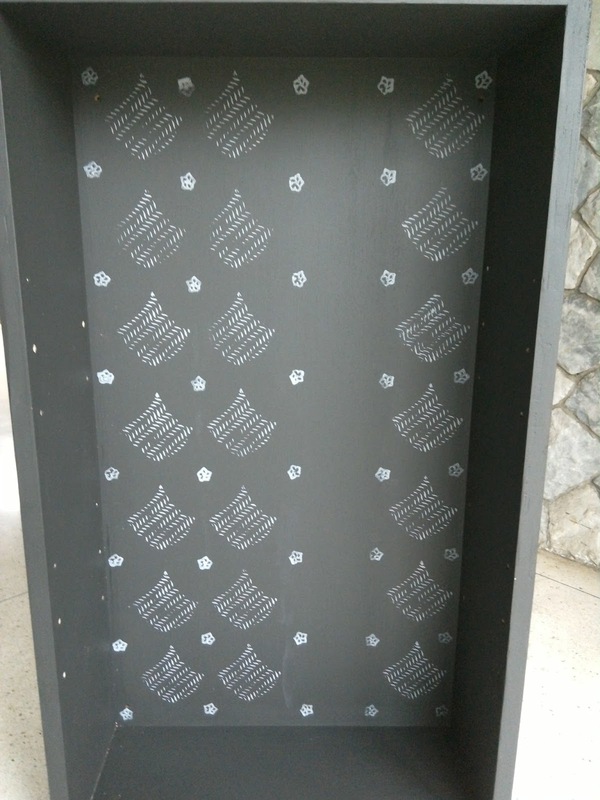 I know these stencils are available commercially but I have no time to go searching for these things. 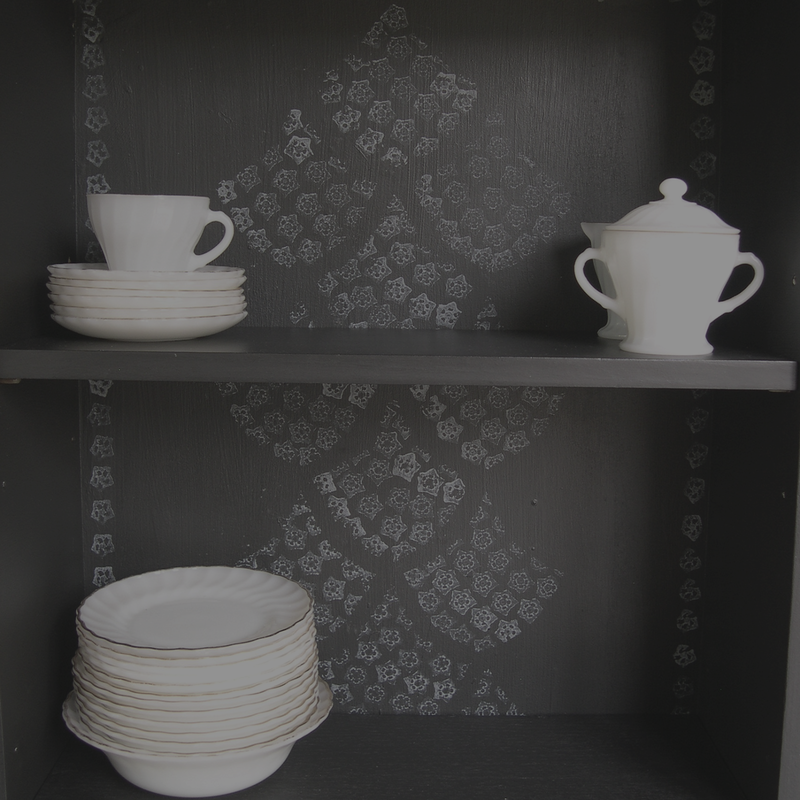 I had made my own stencils before and it was only the shape of the Moroccan fish scale tile that had stumped me to date. And it really was quite simple in the end. It didn’t even take me two minutes to create the initial template for my custom stencil. I made a video of the process to show you how its done. transparencies for your stencil or foam to make a stamp. I used a piece of corrugated rubber foam which gave the interesting stamped effect in the picture on top. 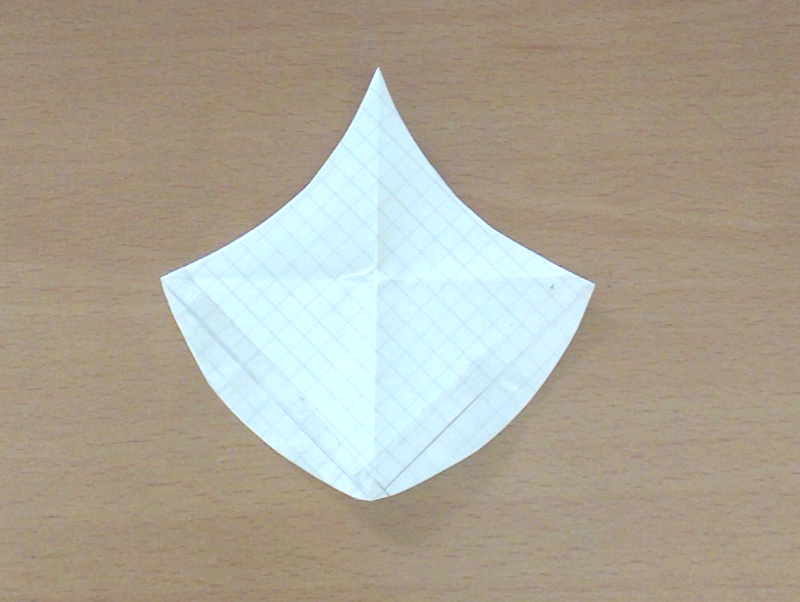 Now watch the video to see how easy it is to come up with the shape. Once you have the shape all stuck together, you should have something like this. And once you have neatened everything, you will have this. 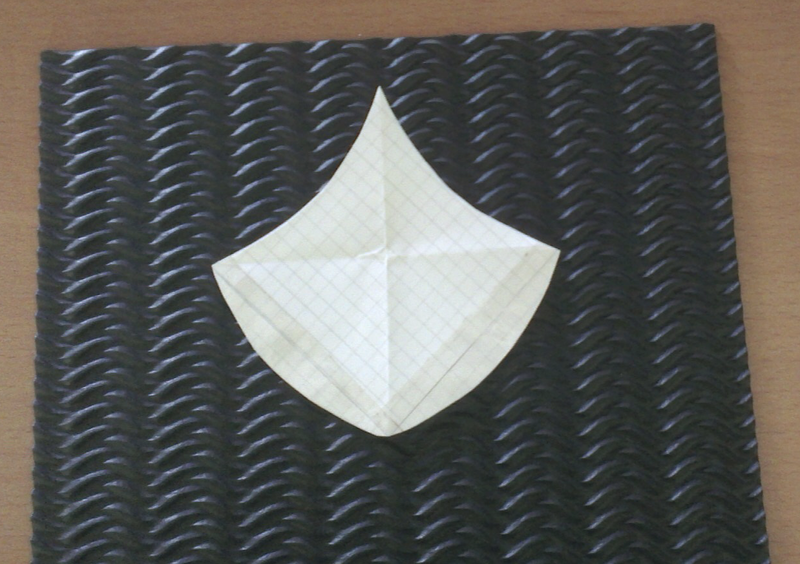 Trace the pattern onto a piece of foam and cut around the shape to create a stamp. 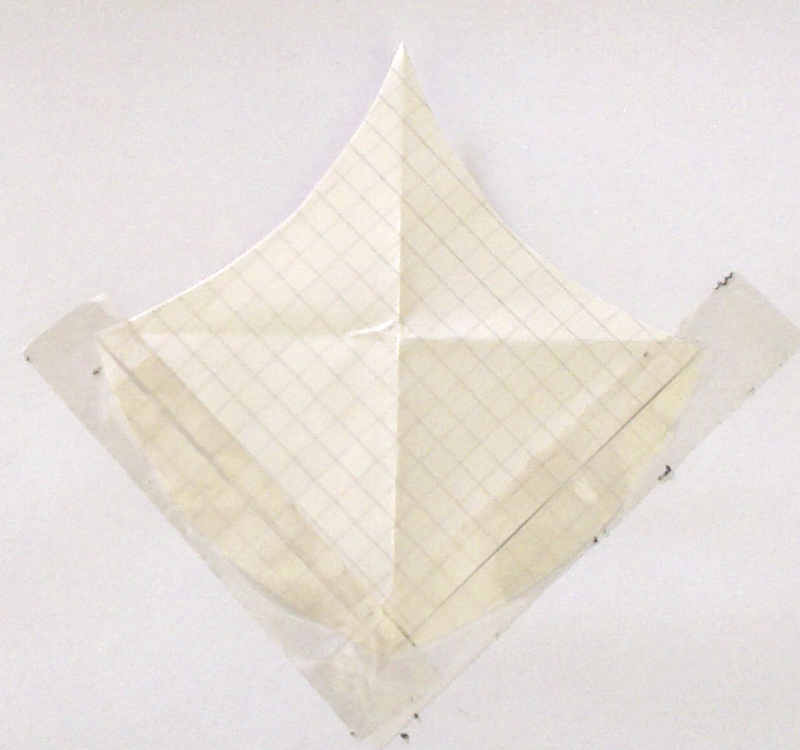 Trace this basic shape out onto a transparency and cut out the middle to create a stencil. Now you can use it on any project you like. Here are some of my applications for this design. 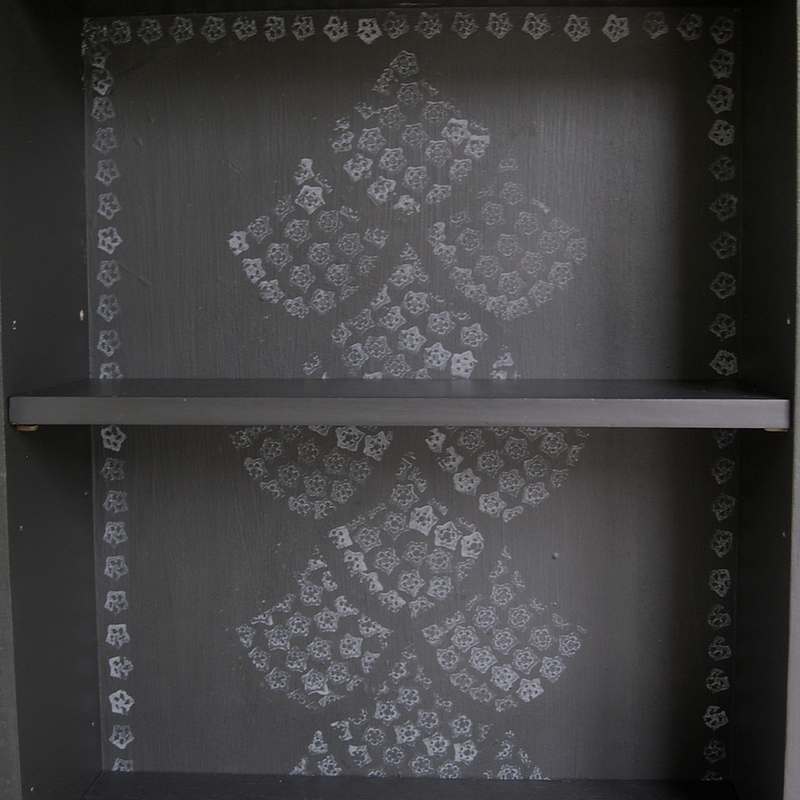 In the second bookcase I used a flower stamp to create the effect. Note by changing the size of the square you can go up or down in the size of your design. For example if your were stenciling a wall you might need a larger stencil. Share with me how you used your stencil in the comments below.